When I was looking at the Scribes of Meridies Resources and Exemplars web page I clicked on their link to a Scribal Pattern Book at the Beinecke Rare Book and Manuscript Library. This is a fascinating complete scribal lettering manual on parchment by Gregorius Bock. It's Beinecke MS 439 from 1510-1517. And the great thing is I can access this manual online from my couch. This historic scribal book has two parts. The first has multiple hand-lettered script style pages, many preceded by text lettered in that style. Most of these sections display large decorative initials with white floral designs on black grounds. But also the initial on page 1r has a swirling leafy border with red and green paint. And folio 4r includes heraldic arms. The second section includes alphabetically ordered large decorative initials. This 500-year-old imposing manual has few a stained and rubbed pages, but the great thing for me is I can easily read and study its pages myself at home. Plus! There's a PDF of it. There's more. The bottom of the Beinecke Digital Collections' web page includes clickable links and images to similar manuscripts, just like an online shopping company. You can also seek their manuscripts by its search page. 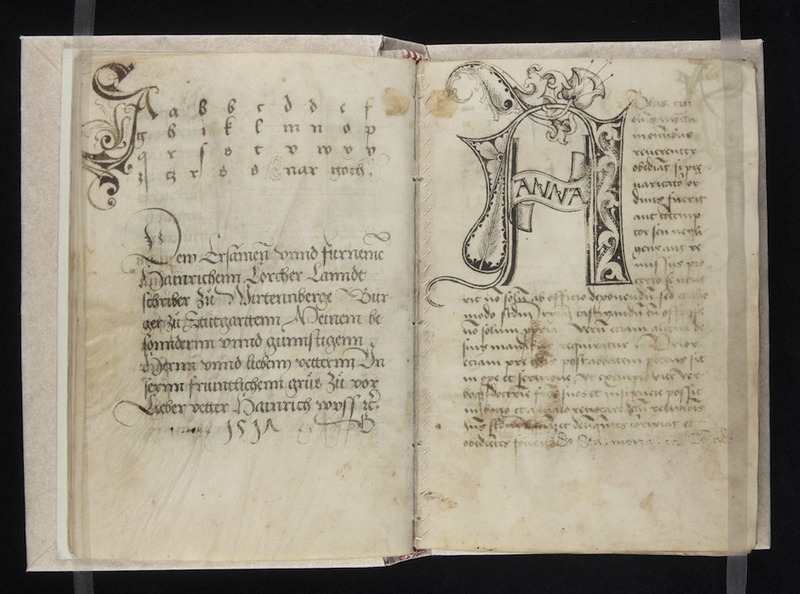 It's an easily accessed notable 15th-century hand lettered complete scribal manual. Nothing's sweeter. Why Is The Ramsey Psalter Important To Modern Calligraphers?